Kadaga said the way these aged men are being treated is not good. 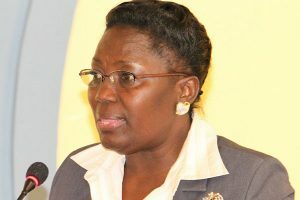 The Speaker of Parliament, Rebecca Kadaga, has directed the Attorney General to followup the issue of paying all ex-servicemen, including those who fought in the Second World War. The Ex-servicemen under their Association Uganda Veterans Association Board (UVAB) won a legal suit against the Attorney general but to date government has not yet paid them their gratuity. The veterans’ struggle to get benefits has been running for long. In March 2004, 45,000 ex-servicemen, grouped under their Association, sued government for about US$470 million in salary arrears, allowances, gratuity, pensions and damages, covering a period of over 23 years. Kadaga said the office of the Attorney General receives funds for the Ex-servicemen from the British government to cater for the war veterans but they have never received the money and most of them have aged and others have died while others are at verge of dying due to old age. This follows a letter wrote to the speaker of Parliament Rebecca Kadaga by Chairperson of the ex-servicemen under the Uganda Veterans Association Board (UVAB), Eliyabu Kavuma a 93 years saying his struggling with prostate cancer but he has no funds to treat himself and government has not paid them their gratuity. Kavuma also pleaded with parliament to help collect for them 500,000 shillings from parliament to fight a legal battle with government.